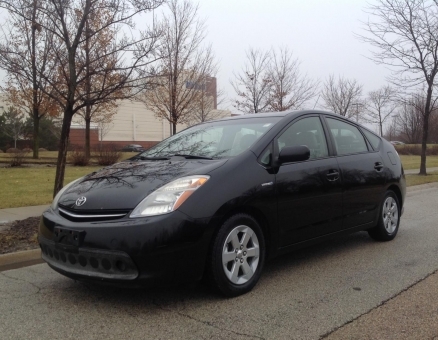 This 2008 Toyota Prius is a four door hatchback with a fuel efficient gas/electric hybrid engine, a beautifully appointed interior, and hatchback utility. This edition is newly detailed, super clean, very sharp, and drives very well. The Prius has very fine performance, excellent fuel economy, comfort, and is well equipped. Options include voice navigation, hard top, beige leather seats, power windows, kirrrors, locks, steel wheels, Hankook tires, a JBL sound system with AM-FM stereo with satellite radio and CD player.